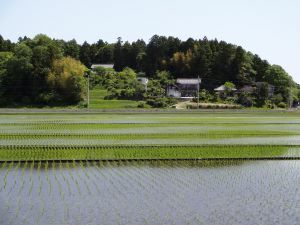 April to June is the rice-planting season in Japan, which includes transplanting rice seedlings from a nursery bed to rice paddy fields and planting them in neat and even rows. Until the 1960s, farmers transplantd rice seedlings by hand. This was a very painstaking task. But the development of rice-planting machines significantly reduced their labor by 1975. Rice is Japan's most significant grain and the center of Japanese culture and traditional events. Rice planting festivals are still celebrated in some places in Japan. 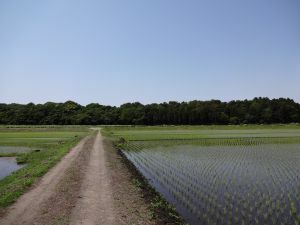 The Japanese believed that dancing and music performed with rice-planting would increase the vitality of rice seedlings and as a result, a good harvest would be secured come autumn.